I'm not big on resolutions. I've made them in the past, but inevitably, they fall off my radar by the end of January and are replaced with the standard chaos of everyday life. So now instead of resolutions, I choose one word to focus my energy on over the course of a year, and in 2016, it's savor. The intent is to remind myself to enjoy the things I love--in part by letting go of the things that take up my time and energy and are not things I love. In the blogging and reading spheres, this will hopefully mean (1) a return to reading for pleasure. In looking at my stats from 2015, less than 10% of the books I read over the course of the year were published before 2014; fully half of the books I read were for an assignment specifically. I've missed so many books I want to read: (2) classics, backlist, first books from much-loved authors. Since most of the books I own fall into those categories, I'm also focusing heavily on (3) reading books I already own. This dovetails with Andi's #ReadMyOwnDamnBooks movement and my own Clean Your Reader challenge. I've shelved these volumes in my house for a reason, right? Time to remember that reason--or get rid of the book. 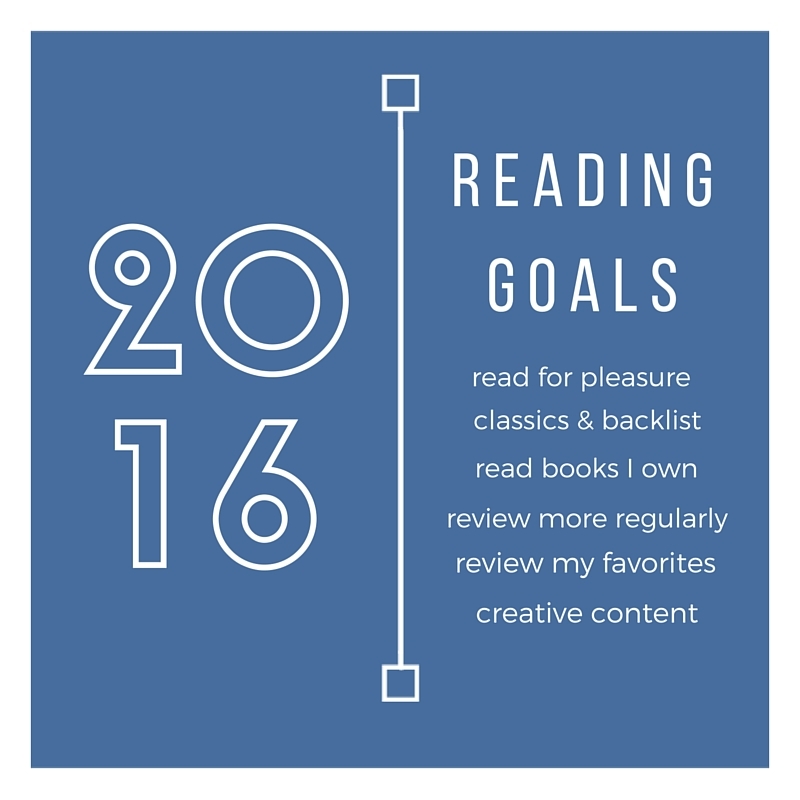 In the blogging world, I want to get back to (4) reviewing more regularly. I've re-posted almost all of my Shelf Awareness reviews here, as well as writing I've done for other outlets, but I feel like the original content I generate for this blog has turned into much meme and very little narrative. I've skipped (5) reviewing the books I love the most because I've felt so burnt out with reviews in general--which unfortunately means that books that are middling at best have received more of my thought and attention than books I love, like H is for Hawk and Salvage the Bones. In order to make sure that the added reviewing goal doesn't make blogging feel like work--the goal, after all, is to savor the things I love, not add to the list of things that feel like a burden--I want to really focus on (6) creative content that breaks the mold of the more traditional reviews I've written (and continue to write for assignments). One of the most fun reviews to write was my dictionary-entry piece on A Lover's Dictionary; why can't I do more of that? 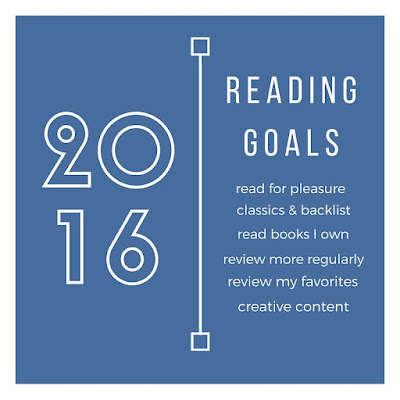 So there it is: 6 goals to read by this year, all within the larger umbrella of savoring the work I'm doing and letting go of that that doesn't bring me joy. I sound like Marie Kondo (speaking of books I own but haven't yet read). Personally, I'm also trying to run more and eat more vegetables... but those are boring. Part of The Broke and the Bookish's Top Ten Tuesday meme.